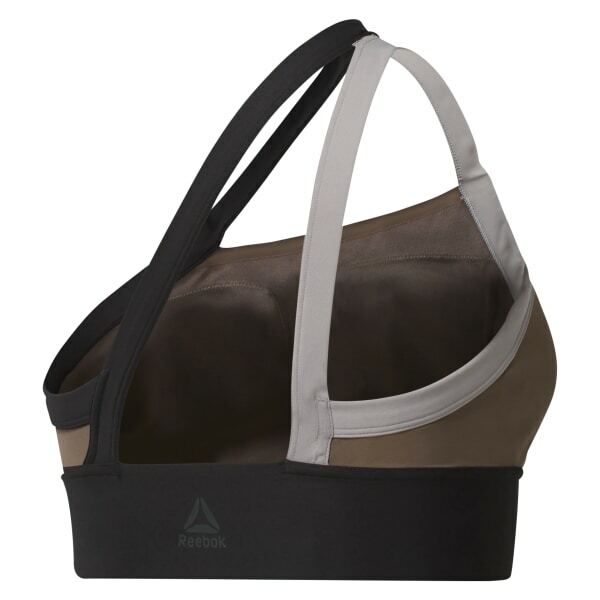 Get a dose of chic style with your fitness support. This one-shoulder bra takes cool to the next level with moisture-managing Speedwick technology. The asymmetrical straps stay put to give you support, and removable pads add customizable shape and coverage during your studio sessions.